Dr. Michael Ioannou is a native of Suffolk County. He received his bachelor's degree with honors at Stony Brook University and his Dental degree at the University of Connecticut School of Dental Medicine. Dr. Mike then completed his residency in Pediatric Dentistry at Albert Einstein College of Medicine/Montefiore Medical Center. Dr. Mike is a friendly, patient dentist that strives to mold children's behaviors and change their attitudes toward dental hygiene. His goal is to make visiting the dentist a fun experience while providing exceptional dental care. He does so with the use of excellent behavioral management approaches, a child friendly environment and staff, and singing to patients! Dr. Mike, Dr. Chris and staff make sure that all patients are treated as if they are our own children! Dr. Michael Ioannou is an active member of the American Academy of Pediatric Dentistry and frequently attends the most up-to-date continuing education courses. He is very active in the community and volunteers regularly giving seminars to various preschools in the area on dental prevention, hygiene, and diet. Dr. Mike's hobbies include reading, sports, and spending quality time with his beautiful wife, Denise, and his adorable children, Andrew, Payton, and John. A native of Suffolk County, Dr. Chris Ioannou attended State University of New York at Stony Brook receiving a Bachelors of Science in Biology and a Doctor of Dental Surgery degree. He also completed a 2- year residency in Pediatric Dentistry at Albert Einstein College of Medicine/Montefiore Medical Center. Dr. Chris is a Board Certified Pediatric Dentist specialized in treating children of all ages, including those who are medically compromised and have developmental delay. His goal is to provide outstanding dentistry in a child friendly manner. The most important outcome is for a child to have a pleasurable and fun experience as well as take home the invaluable knowledge of oral hygiene. Creating a dental home early on establishes a relationship with our patients and their parents and gives a lifelong full of bright smiles. Dr. Mike and Dr. Chris, brothers, along with all of the staff at Pediatric Dentistry of Suffolk County strive to extend their hospitality and expertise to you and your family. Dr. Chris is an active member in the American Academy of Pediatric Dentistry as well as a volunteer and dental hygiene educator at various events such as the Special Olympics. Dr. Chris has also traveled to Africa teaching and treating underprivileged children. 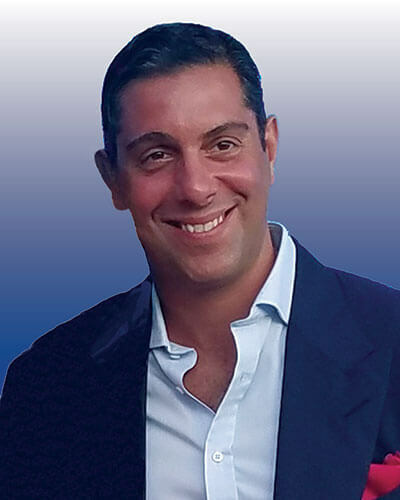 Dr. Christos hobbies are fishing, traveling and most importantly spending time with his wife, family and friends. Dr. Rubino is an orthodontic specialist who truly loves his work. He takes great pride in his ability to give patients the healthy beautiful straight smiles they deserve. Dr. Rubino loves working with all his patients and believes their concerns always come first. He believes in providing patients and parents multiple treatment options because every patient is different and unique. Dr. Rubino was born and raised in New York. He received his bachelors degree and graduated with honors from New York University. He received his dental education from Stony Brook University School of Dental Medicine, where he received clinical honors and graduated in the top of his class. He also received the Nancy Wender Award, which is given for attaining highest board score in his class. Dr. Rubino then completed a general practice residency at Northport VA Medical Center, where he further advanced his education in all areas of dentistry. Later he returned to Stony Brook University School of Dental Medicine and received his certificate in orthodontics and dentofacial orthopedics. Dr. Rubino strongly believes in continuing education and regularly participates in lectures and seminars to stay informed of the most current orthodontic and dental techniques. When not in the office, Dr. Rubino loves spending time with his friends and family. Dr. Rubino lives on long island with his wife Deirdre, a Speech-Language Pathologist, their son Billy and daughter Breanna. Dr. Rubino enjoys golf, traveling, time at the gym, and trying new restaurants. 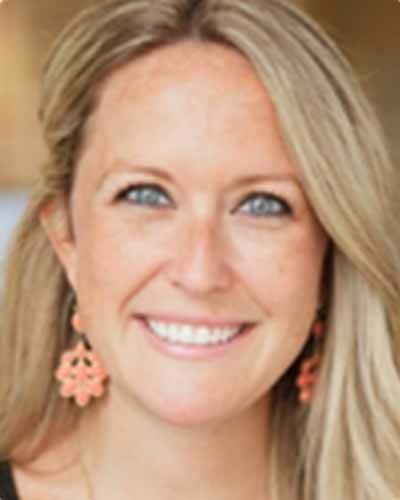 Dr. Danielle Cooper is originally from California and received her bachelor's degree in Integrative Biology at University of California, Berkeley. She received her degree in dental medicine and completed her two year pediatric dental residency at the University of Pittsburgh School of Dental Medicine. Dr. Cooper continued her career as a full time faculty member at the University of Pittsburgh, treating her own patients and teaching dental students and pediatric dental residents. She is a Board Certified Pediatric Dentist specialized in treating children of all ages, including those with special health care needs. Dr. Cooper strongly believes in life-long education and is an active member of the American Academy of Pediatric Dentistry, frequently attending continuing education courses to stay up to date on current techniques and materials. Dr. Cooper loves working with children every day and strives to make her patients feel comfortable, safe, and excited about their oral health so they are excited to come back to the dentist. Her patients leaving with a smile is the best part of any day for her. In her free time Dr. Cooper enjoys reading, movies, good food and spending quality time with her friends and family. Dr. Lynnette Acevedo is originally from Puerto Rico. She completed her bachelor of Science with a major in Biology and her Doctorate of Medical Dentistry at the University of Puerto Rico. Dr. Acevedo then went on to Buffalo, NY where she completed a General Practice Residency at SUNY Buffalo. She then returned to the University of Puerto Rico where she completed her pediatric specialty training. Dr. Acevedo has over ten years of experience as a pediatric dentist in Long Island. She enjoys assisting charity work in different countries including El Salvador, Cuba, Puerto Rico and India. She loves spending time with her husband, two daughters and their dog. As a loving mother her passion has been helping children in need. Dr. Ela is a board certified Pediatric Dentist. She graduated from Villanova University and went on to complete her dental education at the University of Pennsylvania School of Dental Medicine. She completed a General Practice Residency at theMount Sinai Medical Center in NYC. Following a year of private practice where Dr. Ela was only treating pediatric patients, she decided to return to Mount Sinai for a 2 year program to become specialized in pediatric dentistry. During this time, she served as chief resident and helped develop an oral health program for local elementary schools. She received extensive training in behavior management, use of nitrous oxide, sedation dentistry, and treatment of patients with special needs. Dr. Ela was also chosen for a fellowship through Columbia University where she received her MPH in August 2015 as well. She serves as a part-time attending at Mount Sinai Hospital where she works with the pediatric dental residents. She is a member of the American Dental Association and American Academy of Pediatric Dentistry. She is new to Long Island and enjoying her time exploring the area with her fiancee. Dr. Margaret Lin moved from Taiwan to New Jersey when she was a teenager. She received her B.A degree from Barnard College and Doctor of Dental Surgery from Columbia University College of Dental Medicine. Following dental school, Dr. Lin completed a General Dentistry residency program at Beth Israel Medical Center. She then went on to complete another year of Advanced Education in General Dentistry program at Columbia University New York-Presbyterian Medical Center where she continued to learn techniques in General Dentistry, and taught dental students. Dr. Lin is committed to keeping up with the latest advances by attending continuing education courses. Her treatment involves caring comprehensive dentistry for the entire family where she also developed her passion working with children and teenagers. Dr. Lin currently treats our older patients with "teenage dental needs" while providing calming bedside manner! Dr. Lin enjoys being a soccer mom when she is not working and she also enjoys spending time with her family and friends by exploring new places and restaurants. Dr. Khrystyna Leskiv received her DDS degree from New York University College of Dentistry. 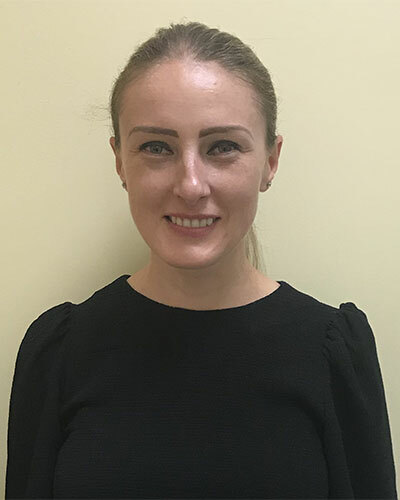 After completing General Practice residency at Maimonides Hospital Center in Brooklyn, NY and working for a year as a general dentist, she pursued her passion of working with children and completed two years of Pediatric Dentistry residency at Bronx-Lebanon Hospital Center in Bronx, NY. She is a board-certified pediatric dentist. Dr. Khrystyna’s focus is for every child to have a positive dental experience. She strongly believes in educating both patients and parents about the importance of oral health care and helping to establish good oral health habits. Skill and compassion go hand-in-hand with Dr. Jacqueline Ahn, a Board Certified Pediatric Dentist, member of the American Board of Pediatric Dentistry and American Academy of Pediatric Dentistry. 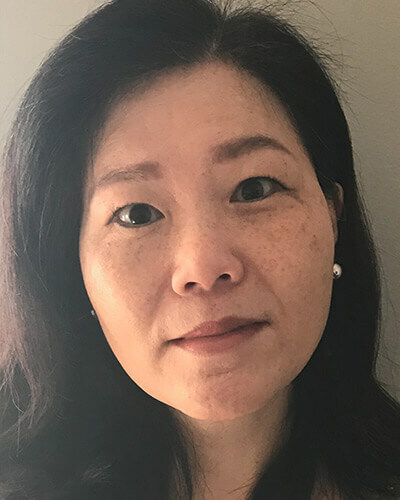 Dr. Ahn received her Bachelor of Science in Physiology from McGill University and her Doctor of Dental Surgery degree from the esteemed New York University College of Dentistry. Upon graduation, Dr. Ahn completed her specialty training in Pediatric Dentistry at St. Barnabas Hospital, where she received extensive training in behavior management, emergency treatments, sedations, and working with special needs patients. 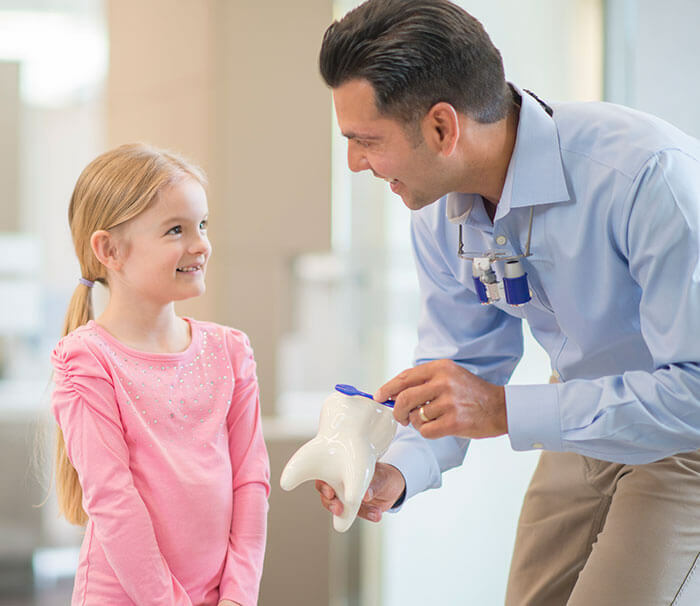 As an accomplished pediatric dentist, Dr. Ahn is dedicated to providing quality dental care and education to children and teens in order to promote a life-long foundation for good oral health. Dr. Ahn takes special pride in making every visit a fun and positive experience for both children and parents. She has a strong passion for helping children and creating an experience that nurtures trust and excitement at every visit. Dr. Ahn resides in New York City with her husband and two children. In her spare time, she loves to spend time with her family and watch her children play ice hockey. She also enjoys traveling, reading, exercising, and running in the park. Learn more about our highly qualified and fun staff. Copyright 2017. Pediatric Dentistry of Suffolk and Pediatric Dentistry of Nassau County . All Rights Reserved.